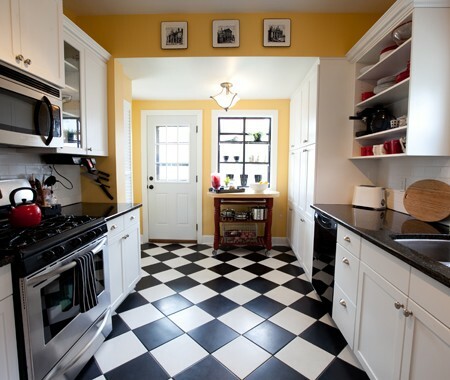 When I was young my dream home had checkerboard floors. 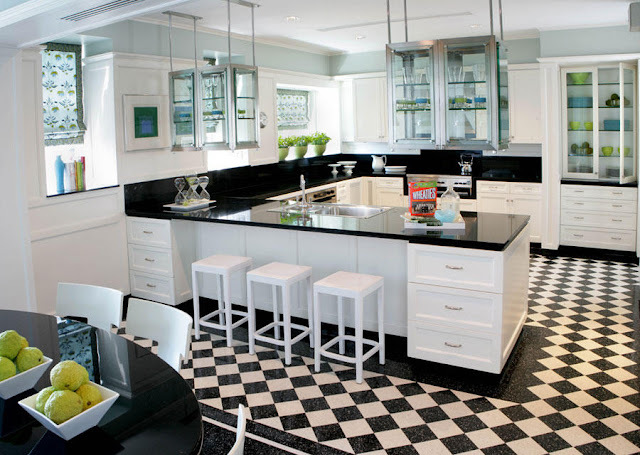 I don't know what my fascination was with them, but I always imagined they were the ultimate design detail. While I was in High School my parents finished their basement and I begged my mom to do a checkerboard floor in the bath. 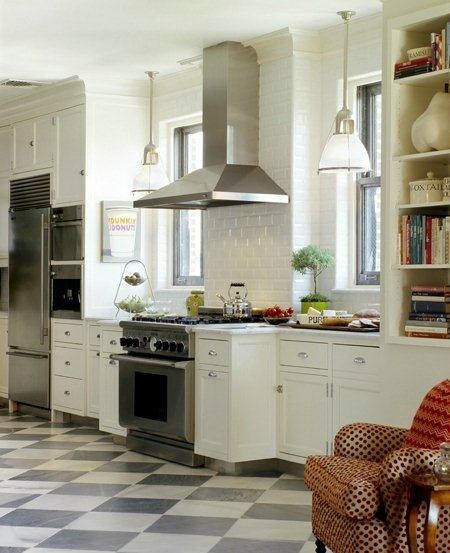 I had no luck, I don't think she is a fan of checkerboard floors. 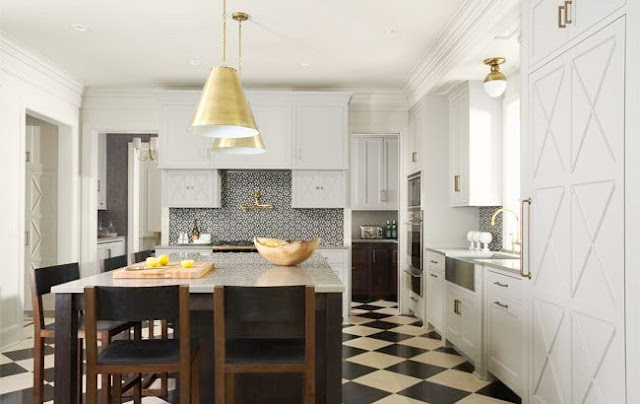 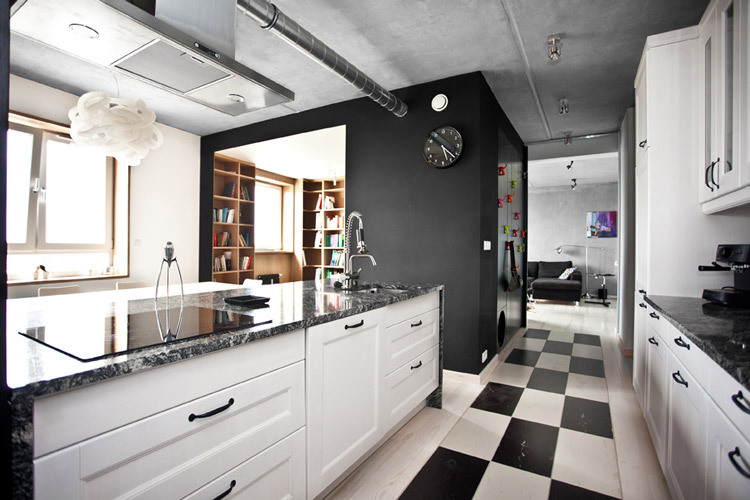 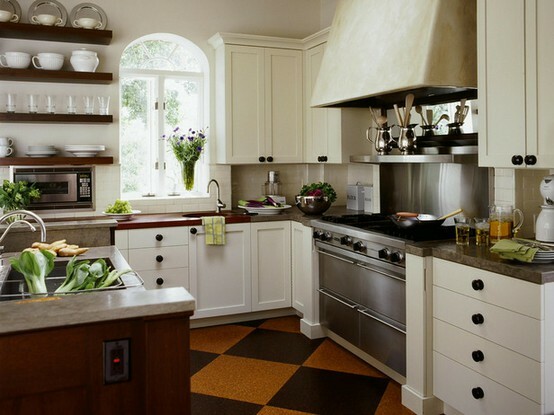 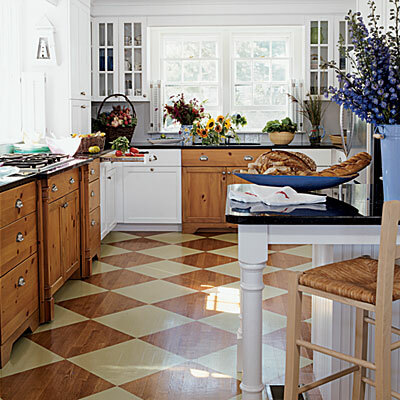 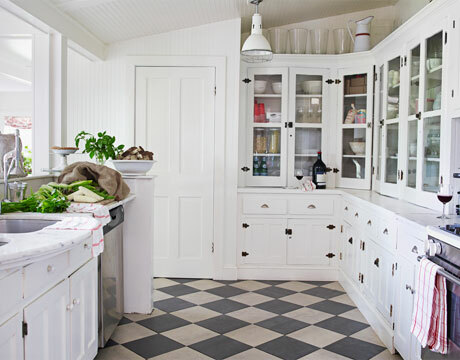 Anyway, I've noticed a lot of beautiful kitchens around the web lately with checkerboard floors.